Luxor Spawndroth (a Bibleman villain favorite) returns with his craziest scheme yet – he’s finally done it; not only has he created an addicting online video game, he’s managed to spoof the servers location luring the Bibleteam into a trap. Could this be the end of the Bible crusaders? Of course it’s not the end for the Bibleteam! In the exciting conclusion, Luxor unveils his most sinister creation yet, you’ll have to see it to believe it. And wait a sec, is that pizza really free? Kettle-corn is the best part of so many summertime fairs and festivals, like the one at Hope Fellowship Church. 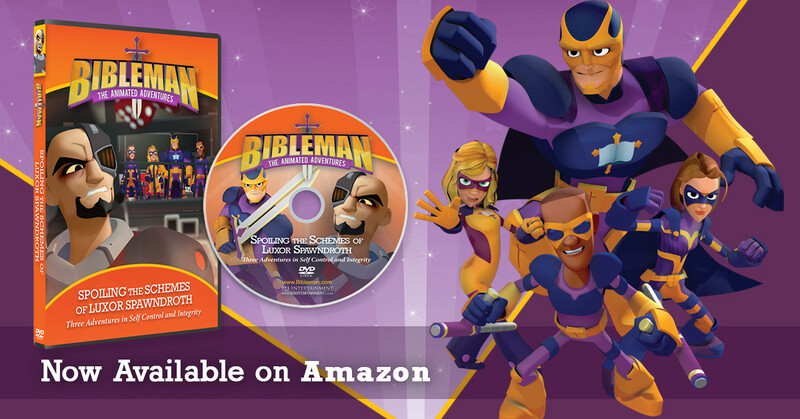 But they didn’t count on the Fibbler showing up – who uses his invisibility to cause confusion in the ranks, all right under Bibleman’s nose!